March 19, 2016 is the day for an Earth Hour. It is at 20:30H until 21:30H wherein participating countries are encouraged to shut off lights for an hour. In the Philippines, several cities are going to participate the activity be it in a crowd or at his own home. 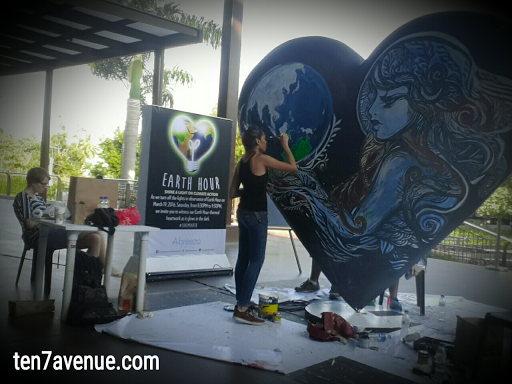 Here in Davao City, in a mall, there are several youth who draw a huge artwork (heartwork) to remember the celebration of Earth Hour. It symbolizes love for Gaia and it will illuminate as the lights are shut off. May this celebration becomes another successful Earth Hour and the green gases will somehow be reduced. Thank you for dropping by my avenue.